Submit your failure and be in the running for a $250 prize! This is a great opportunity to think back on something that didn’t go quite as planned… or maybe missed the mark completely. What happened? What did you learn? Submit to present your failure during December’s live Fail Fest where participants will vote on the most epic failure and have an open forum to share their own experiences and lessons learned. Step Three: See you Dec. 5! Tuesday Nov. 20: Extended Deadline - Non-Profit Boot Camp RFP: Communications Course, anyone?! We got some GREAT proposals for the spring Non-Profit Boot Camp series, but there’s one topic that you’ve been asking for that we didn’t see in the mix: Strategic Communications. We’ve extended the deadline in the hopes of finding a communications strategist to design and deliver a course for our 2019 Spring Non-Profit Boot Camp series.Access the application here or forward to someone you know. Applications due Nov. 20 at 5pm EST. 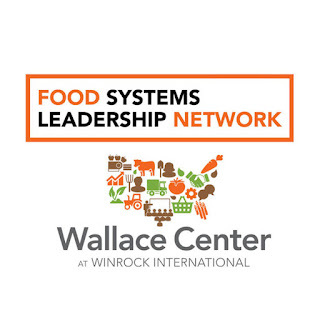 Register now to hear about the newly launched Castanea Fellowship, the HEAL Food Alliance’s School of Political Leadership, and upcoming opportunities from the FSLN. Leadership development opportunities abound!